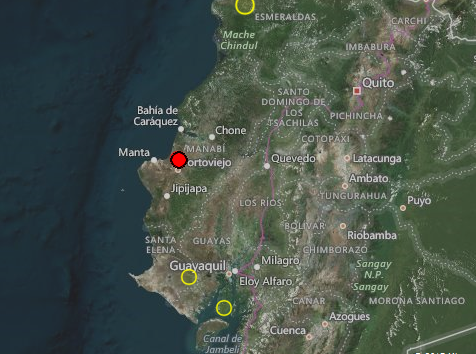 Earthquake Prediction: 4.4R in Ecuador gives our FDL Method again thumbs up! 4.4R in Ecuador gives our FDL Method again thumbs up! 4.4R in Ecuador brings in another successfully predicted event according to our published calendar of signals for Ecuador as below.